The child had been put in the swing alive, according to Charles County Sheriff's Office. A Maryland toddler found dead in a park last month had been placed in a swing alive two days before he was found dead with his mother still pushing him in that swing, according to the Charles County Sheriff's Office. 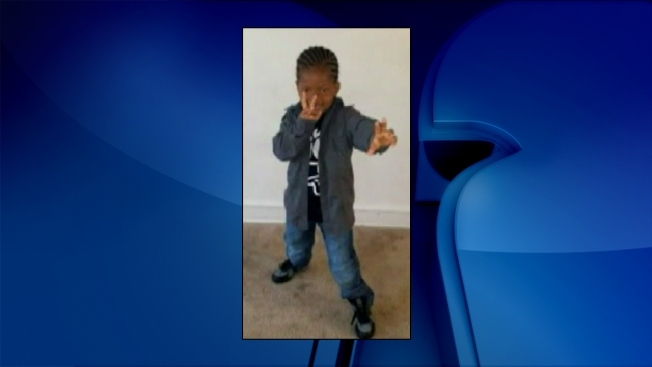 The investigation revealed 3-year-old Ji'Aire Donnell Lee was put in the swing at Wills Memorial Park in LaPlata, Maryland, about 11:15 a.m. May 20. Sheriff's officers and La Plata Police went to the park before 7 a.m. May 22, after a nearby resident noticed what was happening and called authorities. The officers went to remove the boy from the swing and give him first aid, but "it was instantaneously clear the child was dead," sheriff's spokeswoman Diane Richardson said. There were no signs of trauma to his body. Ji'Aire died of dehydration and hypothermia, authorities said. The Chief Medical Examiner in Baltimore ruled the death a homicide last week. The information has been sent to the Charles County State's Attorney's Office. No charges have been filed, pending the state's attorney's investigation. May 21 was cold for late May, Richardson said, "rather chilly and it drizzled all night." According to the National Weather Service, the temperature at Dulles International Airport ranged from 58 to 50 degrees May 21. The low temperature was three degrees below normal. Ji'Aire's father, James Lee, previously said he had attempted to get sole custody of the boy, just days before he was found dead. Lee said he had been concerned the boy's mother, Romechia Simms, was suffering from mental illness. He said he did not want to keep Simms out of his life forever but wanted her to get help. He believed he was the better parent at the time. A judge disagreed. Soon after, Simms took Ji'aire to a motel in Waldorf, near where her mother lives. Two days before Ji'Aire was found dead, Simms called Lee, telling him he needed to pick her and their son up immediately. But by the time he was done with work, Simms stopped answering Lee's calls. On Friday, Simms' mother called Lee, telling him his son was dead. Ji'Aire was just months away from his fourth birthday.